^ The Nobel Prize in Literature 2011. Nobelprize.org. 2011-10-06 [2011-10-06] （英语）. ^ 2.0 2.1 Swedish poet Tomas Transtromer wins Nobel literature prize for ‘condensed, translucent’ works. Associated Press. 6 October 2011 [6 October 2011]. ^ Lea, Richard; Flood, Alison. 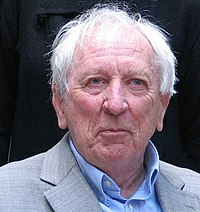 Nobel prize for literature goes to Tomas Tranströmer. The Guardian. 6 October 2011 [6 October 2011]. ^ 4.0 4.1 《诺贝尔文学奖得主 托马斯·特兰斯特勒默：山光云影的沉思默想》. 梁嘉芪. 联合早报网. [2011年10月8日] （中文（简体）‎）.